My brother came to my house (our parents house) recently and I let him sleep on my room and he tought my room looked like a jenga(game) and a jungle, full of stuff you can't move cause others will fall, full of colors and zebra prints it was so funny he could get dizzy on it. And I'm thinking what about this Chandelier it would look fabulous in my Bedroom. 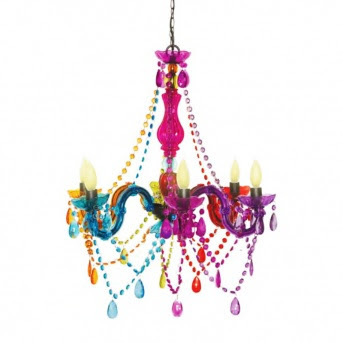 Cirque hanging chandelier $174 @ http://www.wakeupfrankie.com/ sorry it doesn't ship to Canada. That's when I started thinking ...I wish I could have my own apartment or studio but this is a hard time I'm currently unemployed. It's like a frustration I graduated start seeking for a job and no opportunities have come (well temporary jobs) and it makes me feel useless, they won't even hire me on a store.